Marijuana grown by the University of Mississippi for clinical research purposes is genetically divergent from strains of cannabis commercially available in retail markets, according to an analysis prepared by researchers at the University of Northern Colorado. Welcome to the latest edition of NORML's Weekly Legislative Roundup! The passage of statewide adult use marijuana laws is associated with an immediate uptick in housing prices, according to an assessment published by the online service Clever Real Estate. It reported, "Using Colorado and Washington as case studies, it’s clear that the market benefits from marijuana legalization outweigh the potential costs in terms of home values." 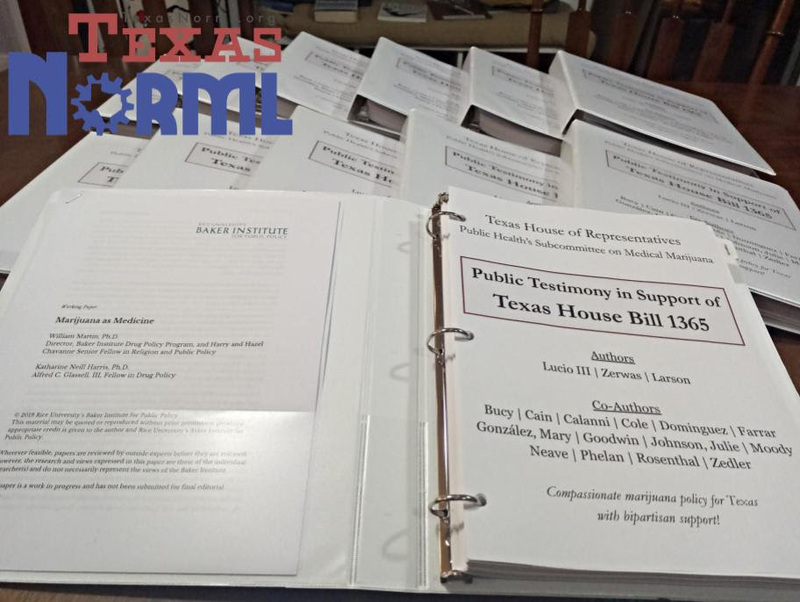 Patients and medical professionals provided hours of testimony for seven bills that address medical cannabis in Texas, including our priority legislation HB 1365, which was authored by State Representative Eddie Lucio III.